If you’ve ever bought car insurance before, it’s likely you’ve come across those little things called ‘optional add-ons’. From breakdown cover to legal expenses insurance, they cover you for a wide range of motor-mishaps not included in your standard policy. 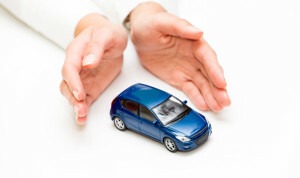 Buying add-ons through your car insurer isn’t necessarily the cheapest way to get cover. In fact, it can be downright expensive. Take Motor Legal Expenses Insurance for example: some car insurers charge up to £30 to add this to your insurance. Buy the exact same cover stand-alone however and it’ll cost you just £9.99 a year. There aren’t many downsides to buying optional insurance extras as stand-alone. It’s cheaper, lowers your overall car insurance premium and provides the same, if not better cover than you’d typically receive. So why, with so many benefits do we continue to buy add-ons with our insurer? Not fully understanding our buying options is a major factor. The clue is in the name – “add-on” products are often viewed as something we can only buy with our insurer. This misconception is worsened by consumer media groups like Which? and Money Saving Expert who, in the instance of Motor Legal Protection, fail to mention buying stand-alone as a buying option. The very nature of the buying process may play a part too. When we buy something as an add-on, we tend to think we’re getting it at a decent rate. Under this illusion, we’re far less likely to shop around, but isn’t that just plain lazy? It’s fair to say that buying car insurance isn’t particularly exciting, fast or fun. So once we’ve chosen a provider, it’s no surprise that many of us want to get through the purchase process as quickly as possible. Safe in the assumption that we’re probably fed up, extra cover is made available with just one click, and was even added on automatically in the past, although this is being banned by the FCA. But rather than just a one-off click, shouldn’t we be spending a little bit more time thinking about the cost of this? This is something we’ve got pretty good at whilst sourcing our main car insurance. Many of us will compare quotes ’til the cows come home, but when it comes to the extras, we’re slow on the uptake. All too often we tick the boxes without checking out the details and herein lies the problem – we’re failing to do our research. Maybe it’s because we’re expecting to get a good deal, or maybe it’s because we simply can’t be bothered. Either way, it’s in our best interest to compare add-ons. Getting clued up on cover will make it easier to spot what’s good and what’s not. Most importantly though, you’ll know if it’s worth the price they’re asking. Sure, it’s more time-consuming, but for the extra money it can save, it pays to compare. Best Price FS provide quality stand-alone Motor Legal Expenses Insurance for just £9.99 a year. Find out more, here.